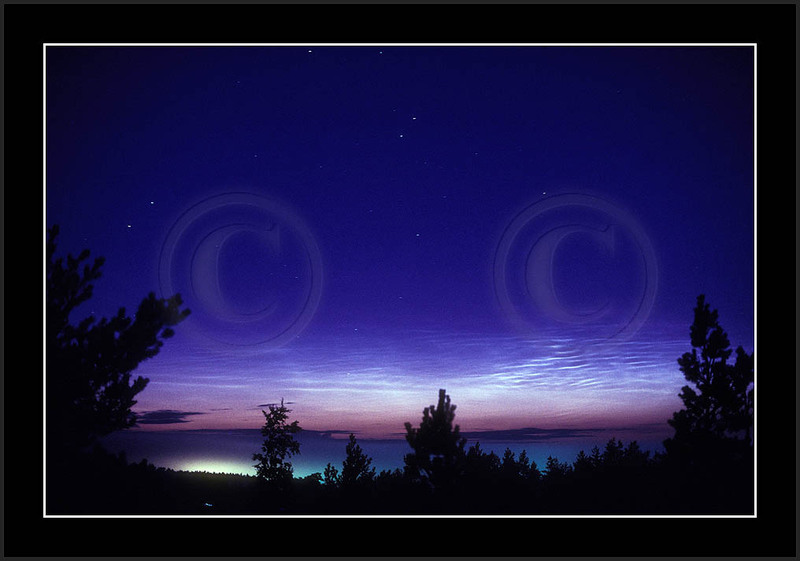 Seeing NLC is a bit strange feeling: night sky is filled with stars but simultaneously in the northern sky bright white or slightly bluish clouds shine against stars! 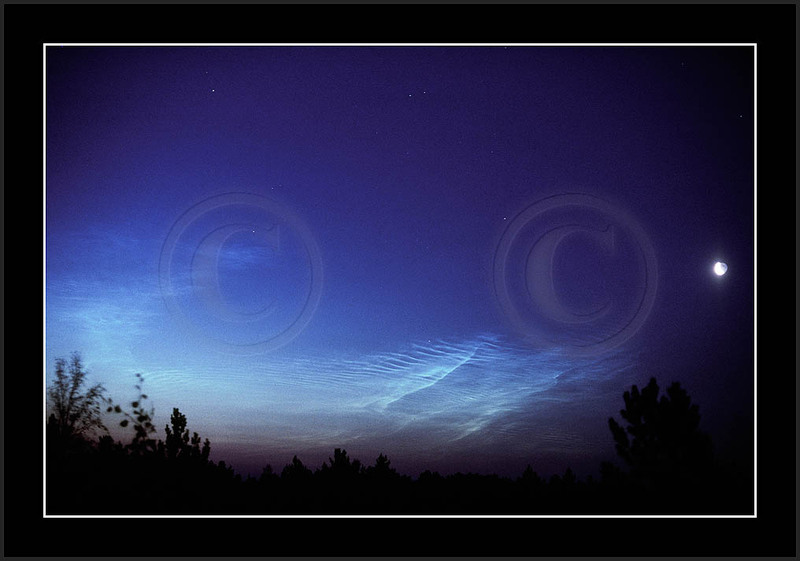 A controversial observation which is experienced by many boatists during their summer holidays in late July. 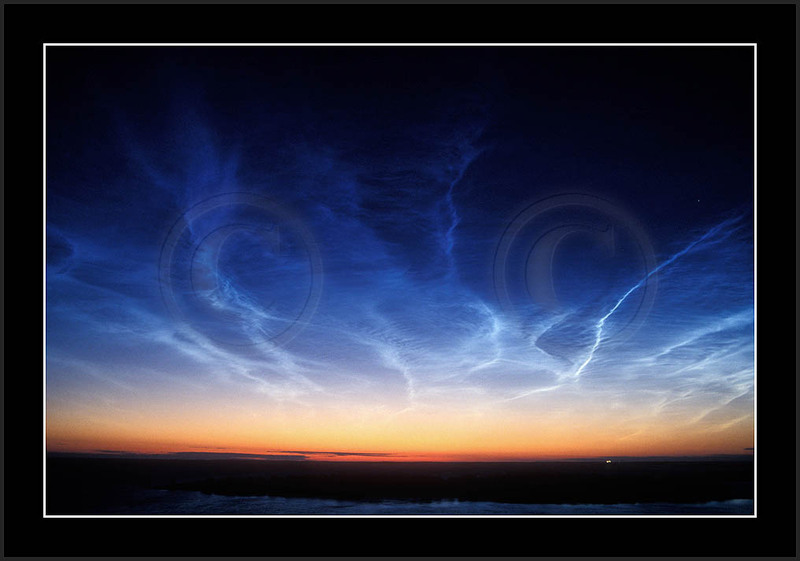 True nature of this phenomenon is not fully understood. It is clear that we see clouds at extreme heights of 80-85kms, where sun still shines over night while low atmosphere is in shadow and stars have become visible. 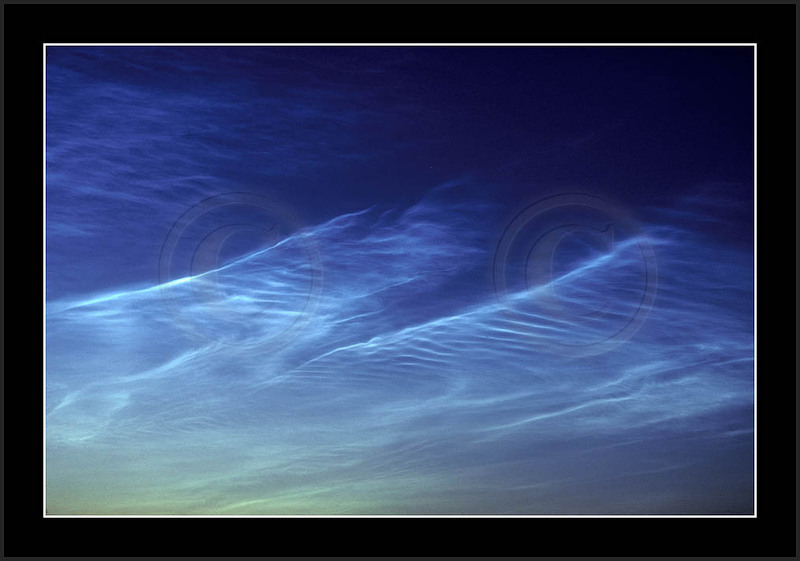 The question, however, is: how on earth are there clouds at that height, or in the first place how is water transported there? 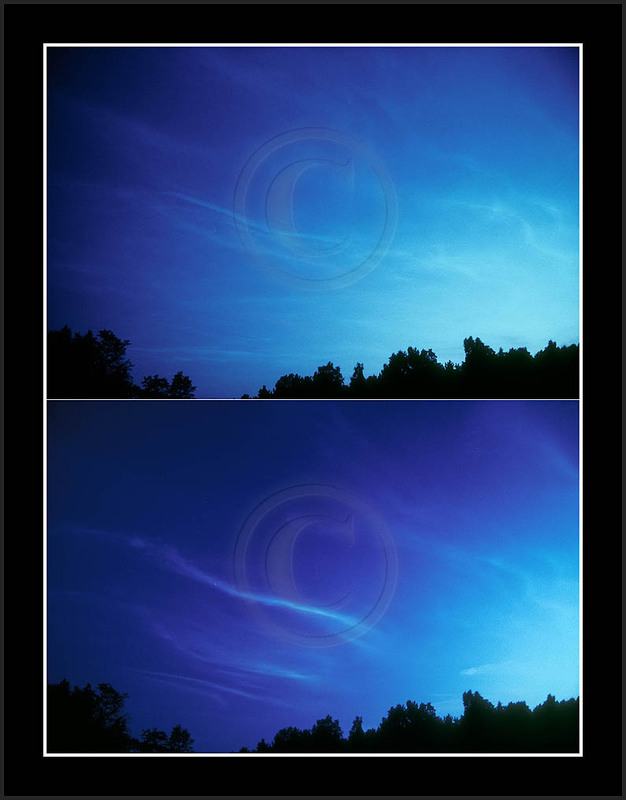 Image vy03041POL is composed of two simultaneous images of the same part of the sky - upper part taken without polarization filter and the lower part with filter turned in such a way that NLCs almost disappear. 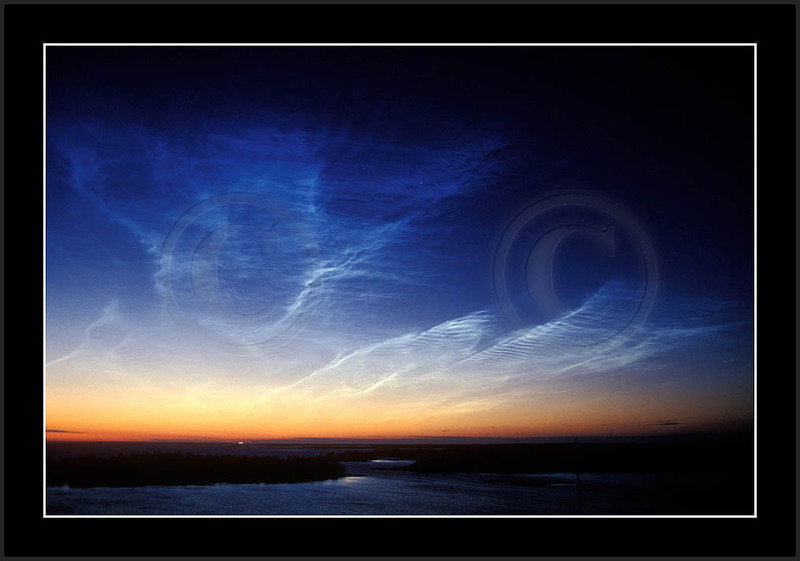 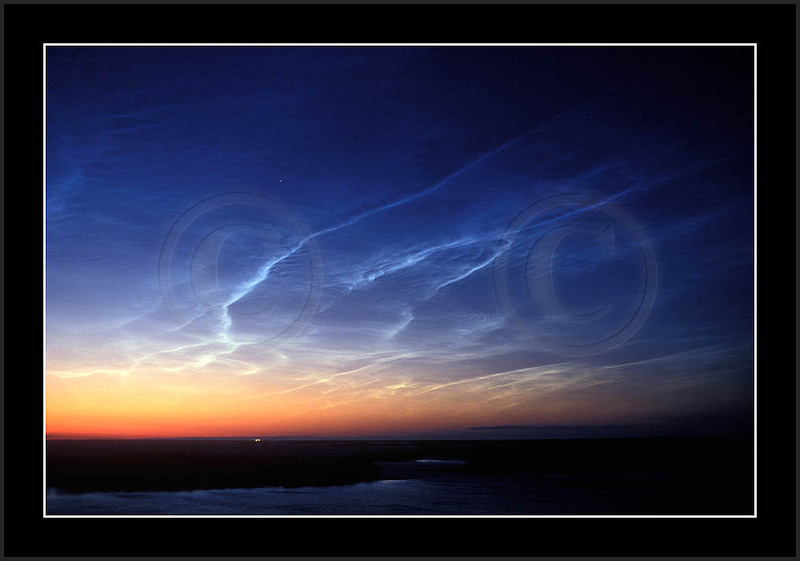 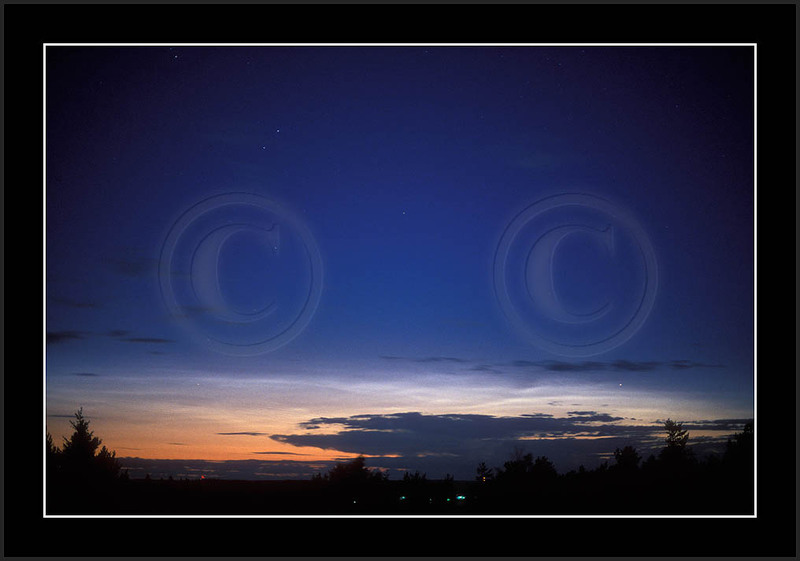 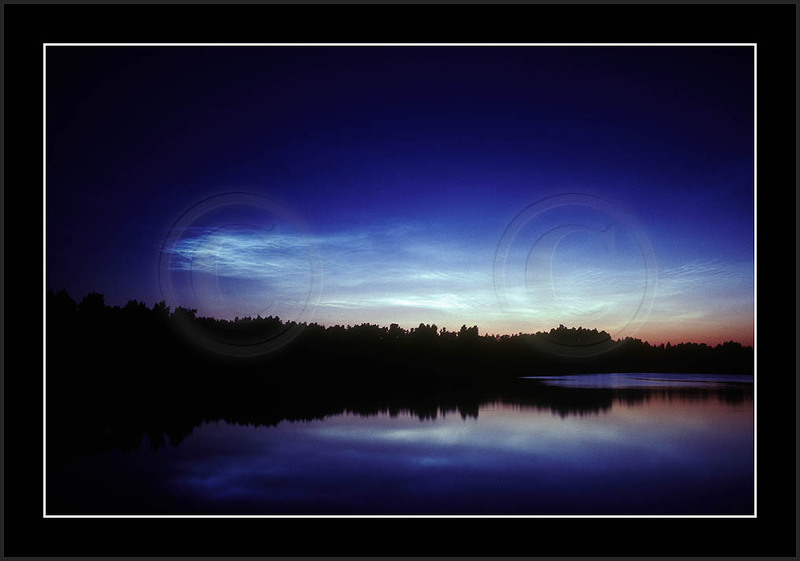 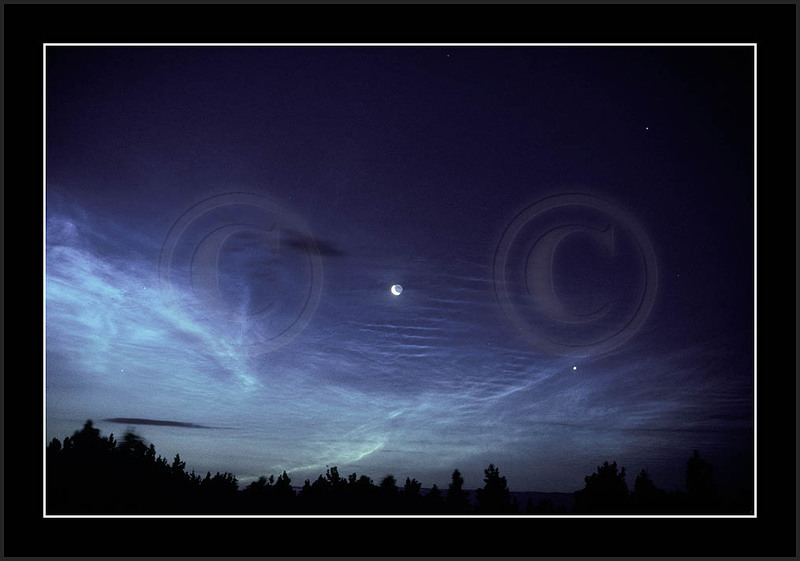 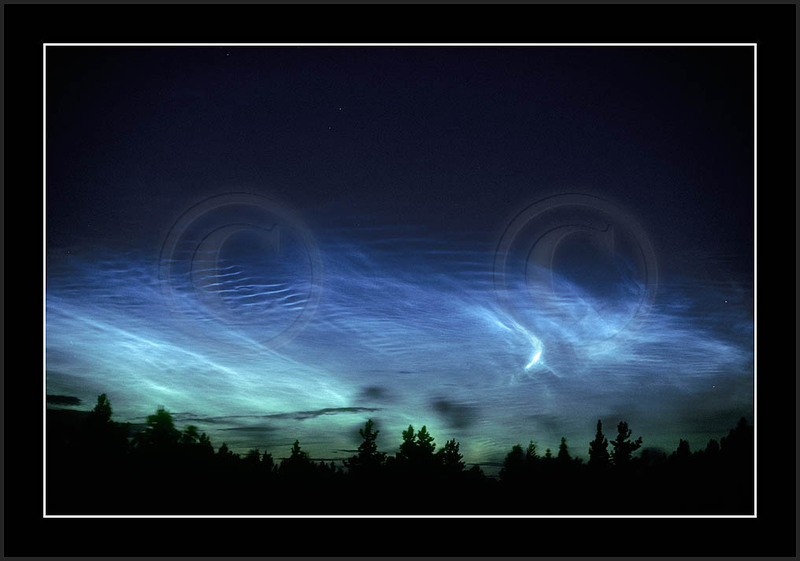 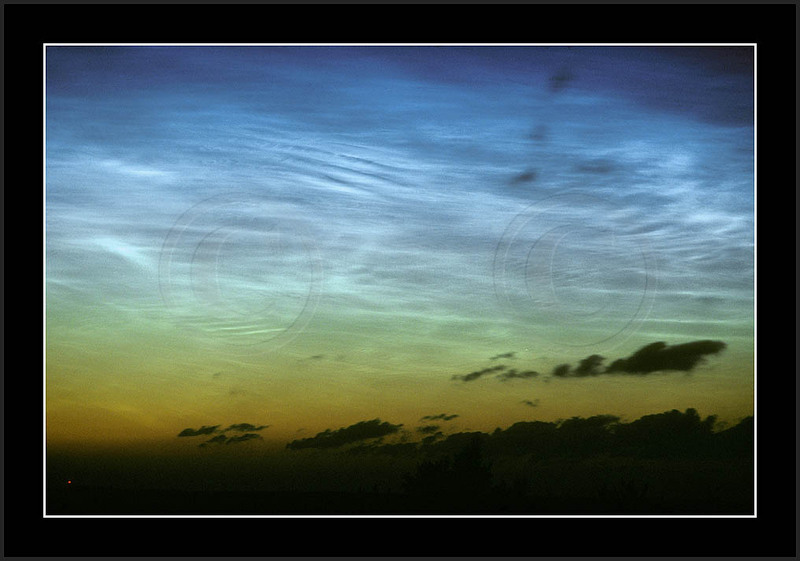 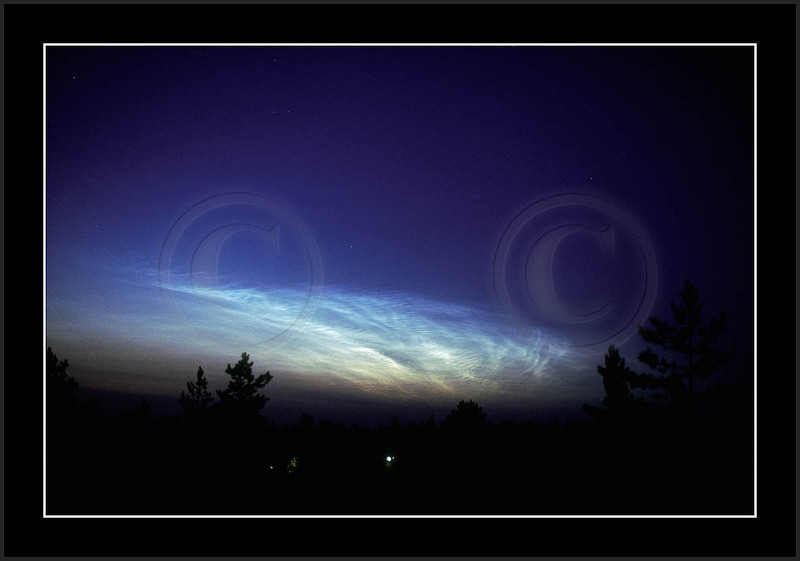 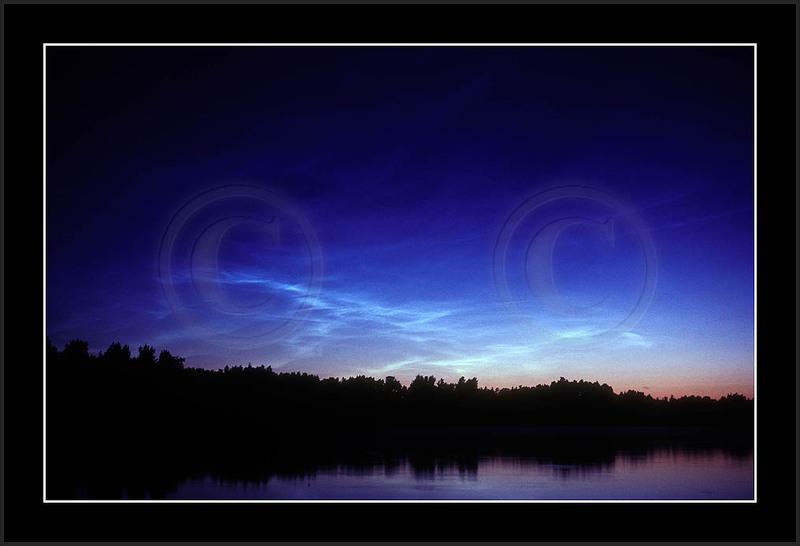 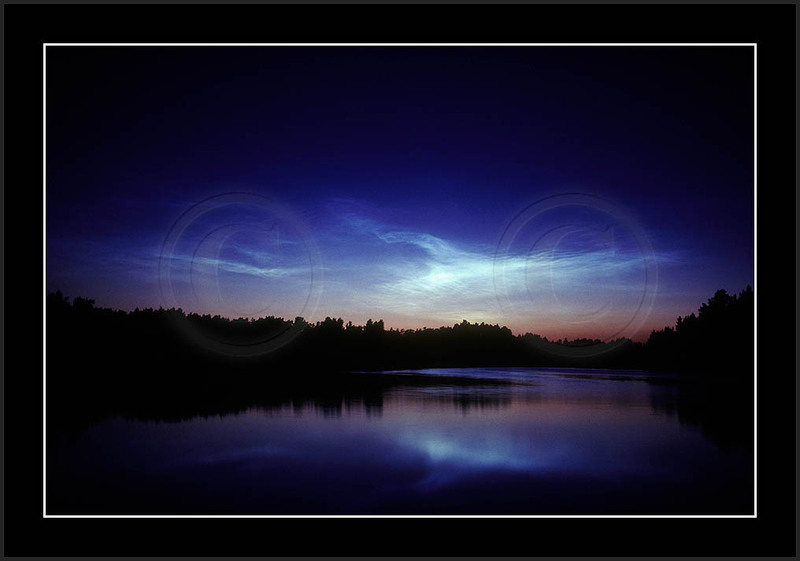 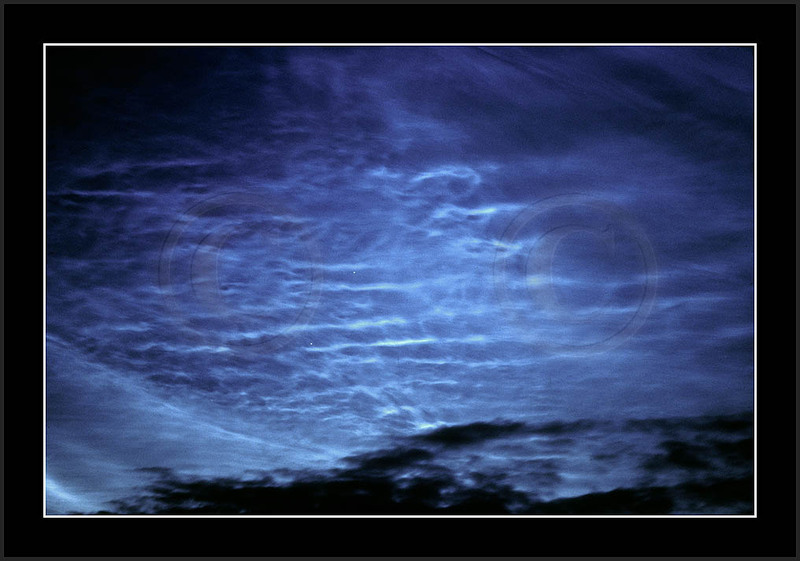 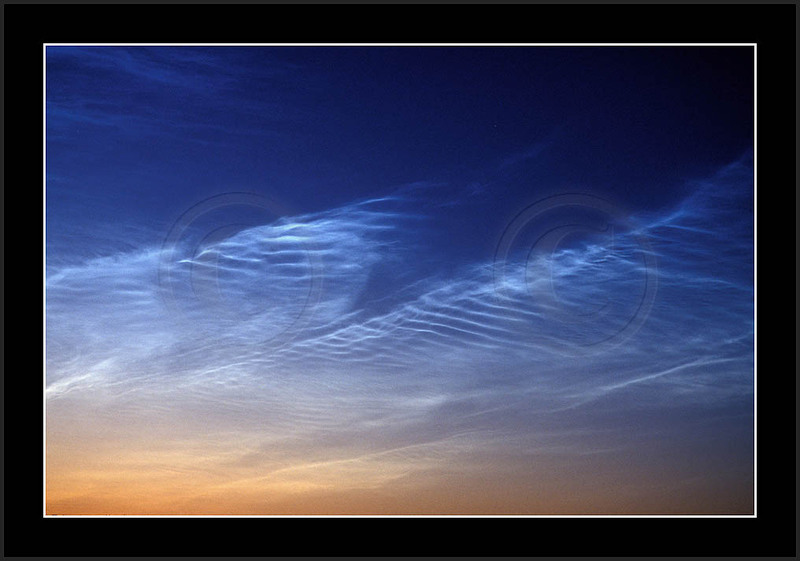 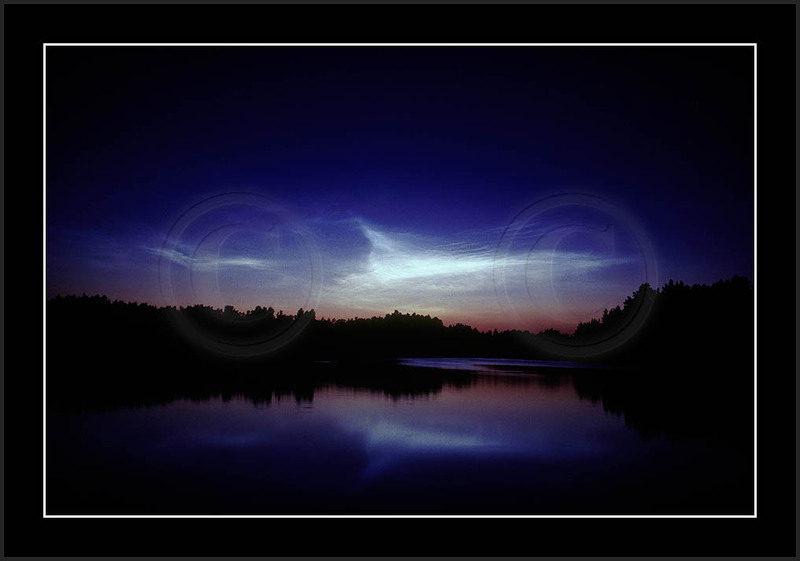 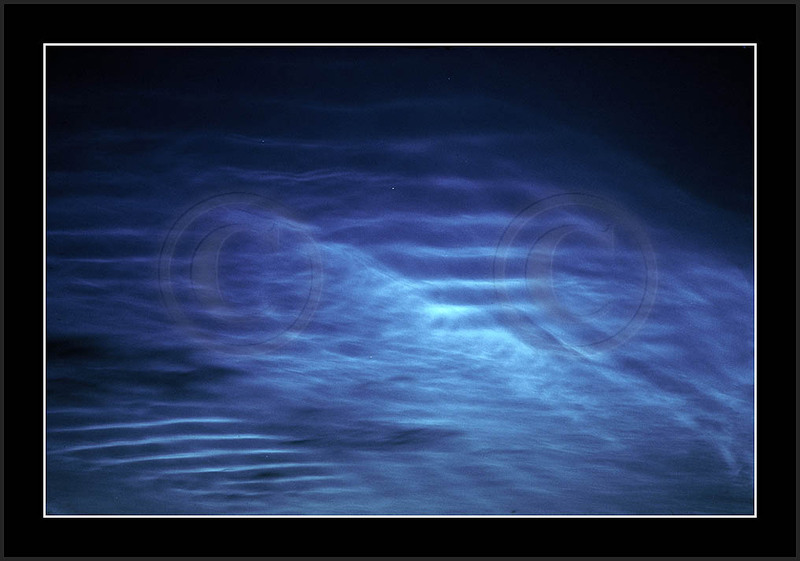 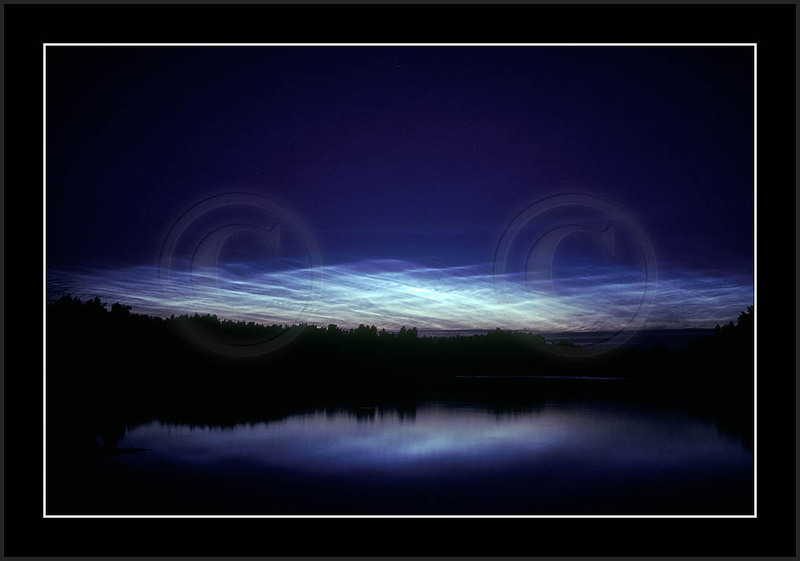 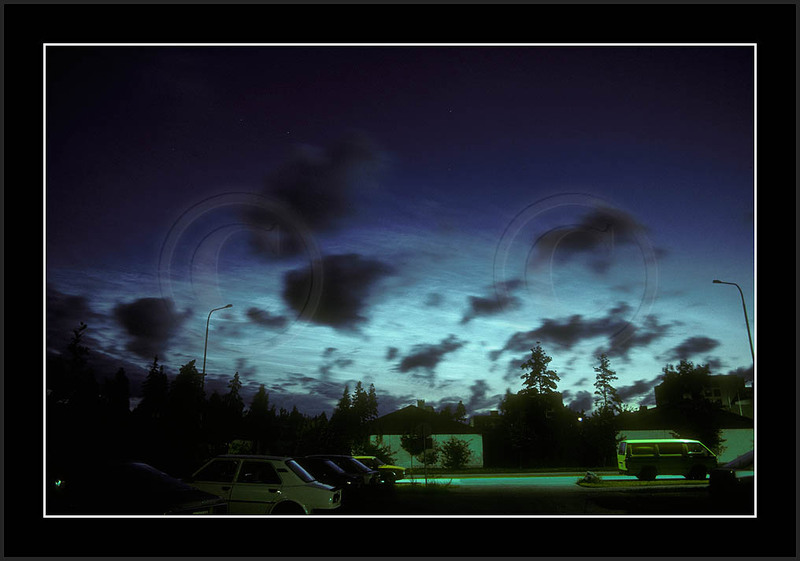 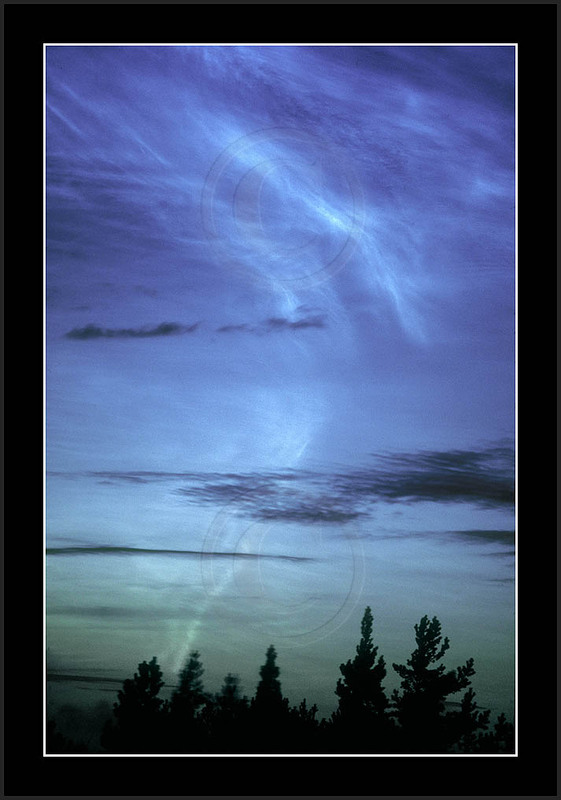 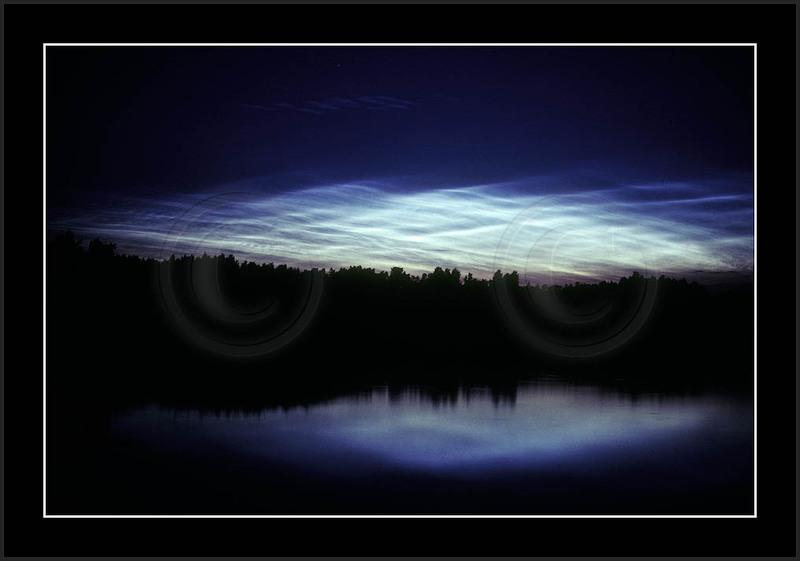 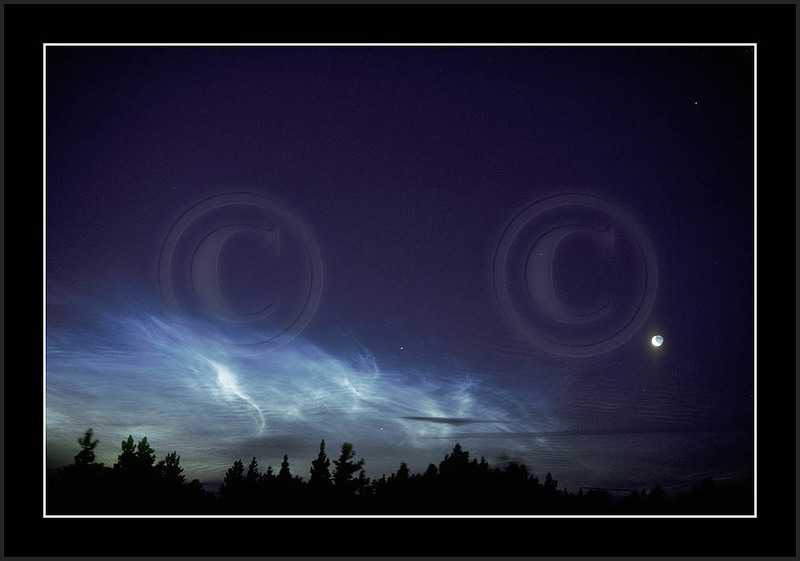 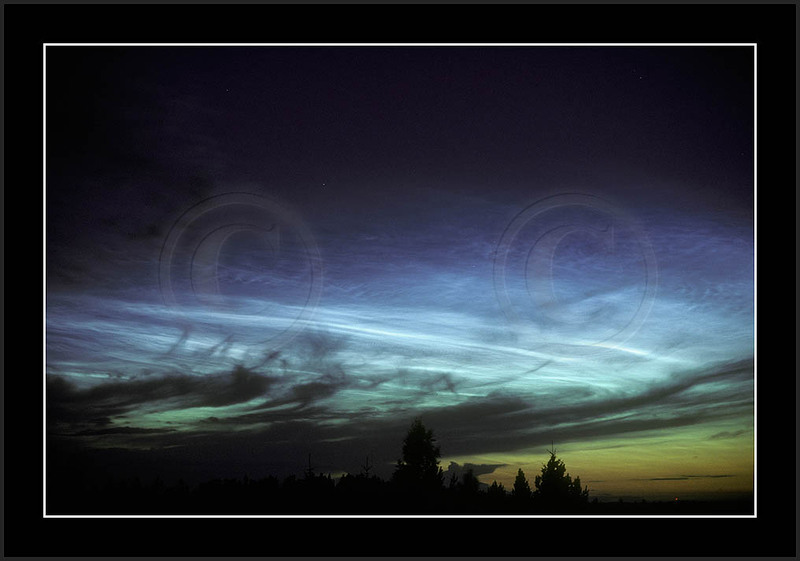 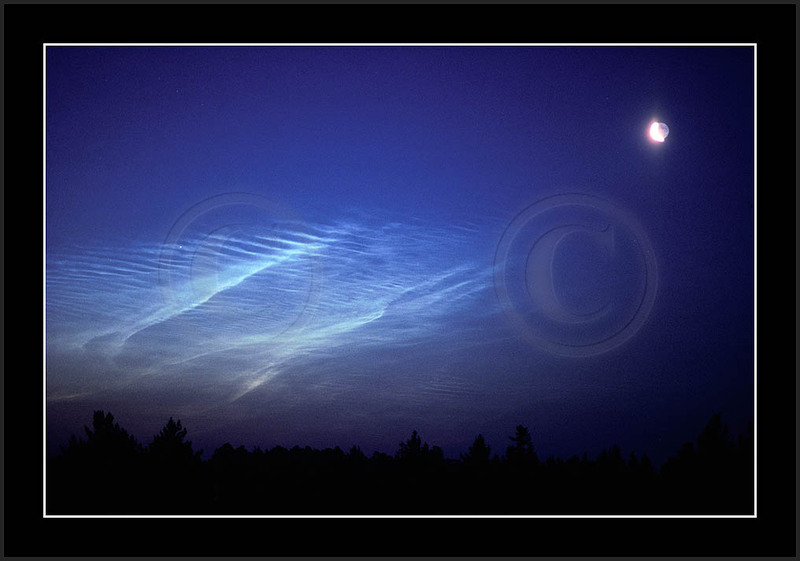 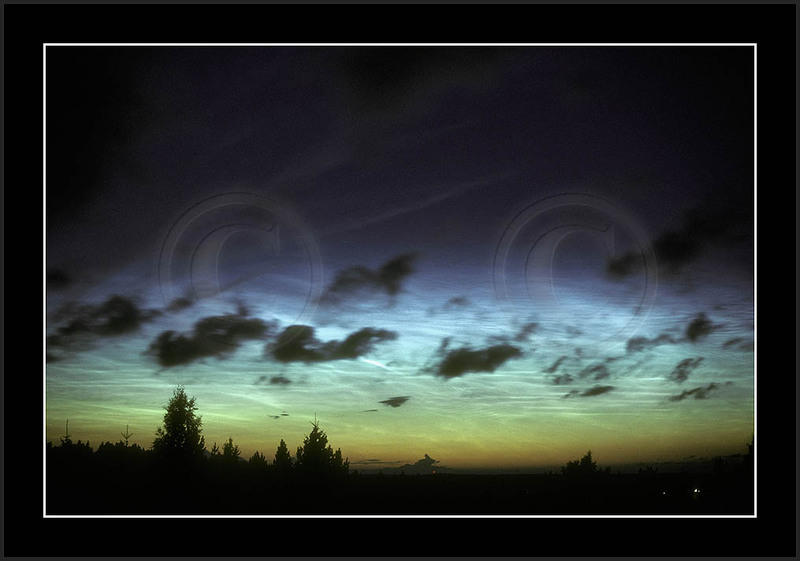 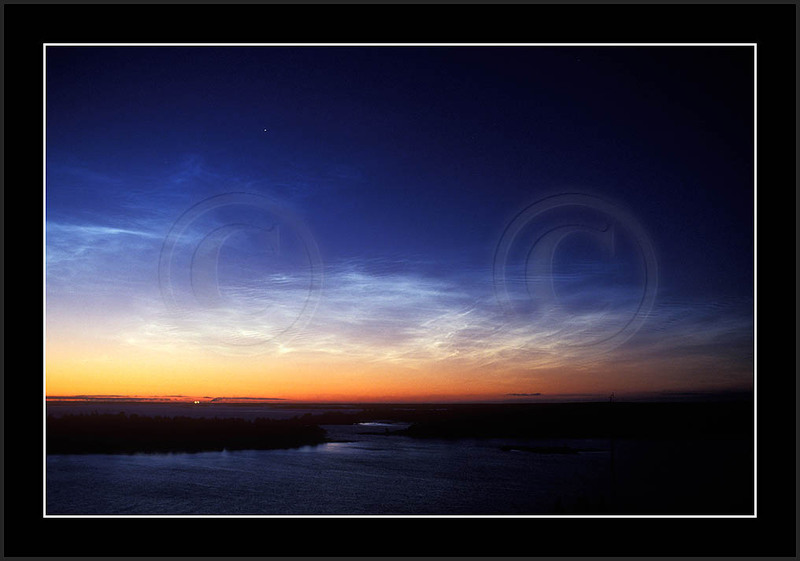 This is just to demonstrate that NLC-light is polarised as is the blue of the sky.